UPDATE: Exclusive on "Watch the Titles": scroll down to watch the brilliant animated VA sequence from "Magic Trip." IMAGINARY FORCES KEEPS IT ANALOGUE FOR "MAGIC TRIP"
In 1964, American author Ken Kesey and a group of friends who named themselved The Merry Pranksters took the now legendary cross-country trip from California to New York in a painted school bus named "Furthur". Tom Wolfe documents this trip in his influential novel The Electric Kool-Aid Acid Test. “Kesey wanted to make a feature film of this bus trip, so he bought the best equipment,” explains Karin Fong. “He was a real gearhead. He loved technology, and he loved film. But if you watch the footage, it's often not shot on a tripod, and it's framed all crazy,” she adds, laughing. Kesey never finished his feature film. It took almost half a century before Alex Gibney and co-director Alison Ellwood took on the daunting challenge of digging through mountains of footage to turn this historical bus ride that Kesey and The Merry Pranksters had filmed into a cohesive story for their documentary film Magic Trip - Ken Kesey's Search for a Cool Place. 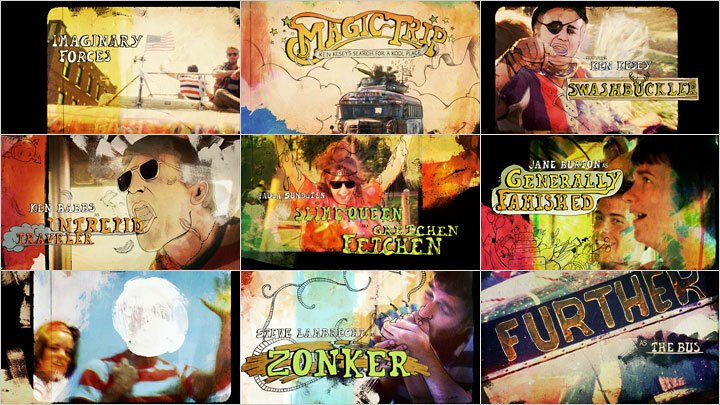 Most of the footage used in the title sequence is archival film shot by Kesey and his "Band." Ken Kesey was studying Creative Writing at Stanford University in California during the same time that the CIA were measuring the effects of LSD and other drugs on test subjects at the Menlo Park Veterans Hospital. Kesey volunteered. His novel One Flew Over the Cuckoos Nest is loosely based on his experiences during the time he spent taking the drug trials, and later working at that hospital. 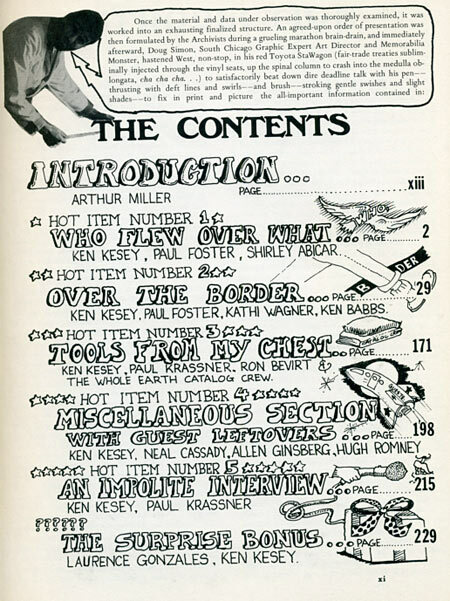 Some of Kesey's lettering and doodles from a page from the book Kesey's Garage Sale. 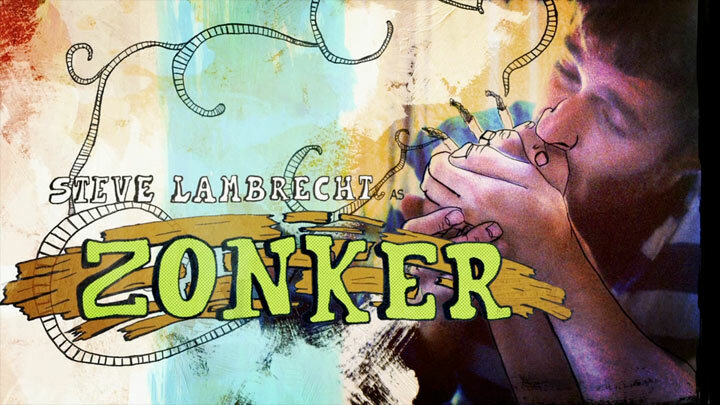 His handiwork influenced the hand-drawn typography by Daniel Farah throughout the film. 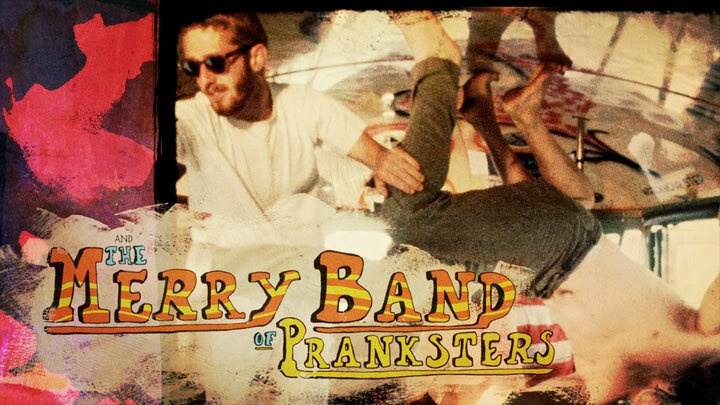 All the Merry Pranksters have their own names. Like Stark Naked and Always Famished. It's almost like they all have alter ego's, like you see in the main titles. VA Sequence (exclusive on Watch the Titles). The voice is Ken Kesey's, recorded when he was taking part in government drug trials. It was hard to find a hospital that looked vintage enough for the scene they had in mind. Eventually they found one in Brooklyn, which is where they set up a shoot. "The very first thing we did was the VA Hospital sequence. Once we got the animation language down we started working on the other sequences for the film." Chartpak letters. 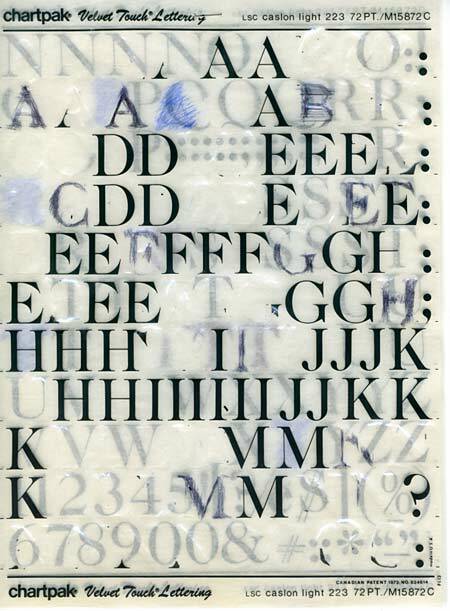 We looked at the technology of the time and we used rub-on letters and screens — analog ways of print production. We used some old stock that one of the designers, Jeremy Cox, had hoarded. I liked the non-perfect aspects of the type, as well as the after-images of the rub-on process. Stills from the movie version of One Flew Over the Cuckoo's Nest. The images of the mental institution and the nurse inspired how we imagined the hospital and nurse for the VA sequence and styled our shoot of the environment. 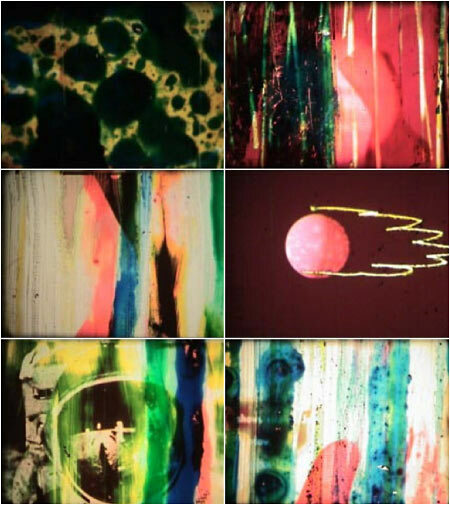 Frames from a Stan Brakhage film ― paint on film technique. 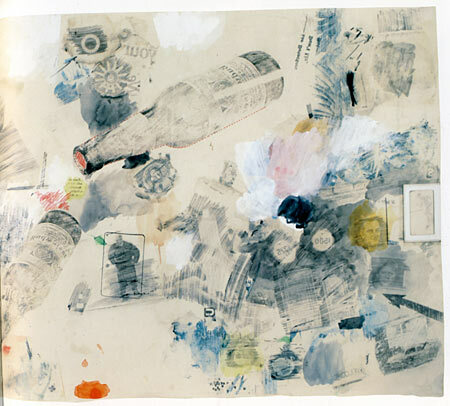 A Rauschenberg transfer drawing from the early 1960's. I started by looking at the art of the time. In this series, I liked the idea of how, as the mind became altered, images could layer on, some leaving an impression, but others fading... Things coming in and out of consciousness. Article: Remco Vlaanderen, © Submarine Channel, 28 September 2011. Last update: 1 October. It's great, really great! The titles, text and illustrations are excellent. I must see this film! There's so much that I didn't know about that early LSD period 1964, your text paints a lovely picture!